It was my honor to have a conversation with the keynote speaker for Prospect Development 2018, Ron Tite. Named one of the “Top 10 Creative Canadians” by Marketing Magazine, Ron has offered advice and leant inspiration to many industries. I was excited to learn more about Ron’s philosophies and get a glimpse into what we can expect from him in the keynote speech. What follows is a transcript of our conversation, edited for brevity. Amelia Bowen: One of the things I really enjoyed about your talks on YouTube is this idea of the expression economy. I was wondering if you could talk a bit more about that and how you think it might have an impact on our work in fundraising. Ron Tite: This idea of the expression economy is that people are constantly expressing themselves — through social media, writing blogs, posting photos, posting videos. It is a constant stream of expression. What that means is a lot of other people are consuming that expression. And if you look at how content is generated, three things have happened. One is low cost of production. You can make and distribute a magazine, and it’s never been cheaper. The second part of the expression economy is that we’ve got global and instantaneous distribution. Before the internet, the way for your magazine to go out was to print and mail it. That takes time, money and expertise, which might have prevented you from making a magazine. When you combine a really low cost of production with global and instantaneous distribution, what you end up with is this third thing — the ability to produce and consume niche content. If I work in your industry, and I’m really, really into fundraising, I can geek out on this 24/7, right? I can read your magazine, I can follow thought leaders in their space on Twitter and YouTube, I can write my own stuff, publish, give tips and tricks, do interviews, and create podcasts. AB: I agree. I found it interesting how you mentioned that the internet is our competition now. It’s also a tool for us, in prospect development, to be able to access so much information and go on to relay that information to the fundraisers. I guess the things we struggle with are how to make that information more personal, and how to grab people’s attention. Do you have a few tips you can share prior to your keynote speech on how we can address this? RT: Yeah, 100 percent. There are a few things we know about sharing data. First of all, this knowledge of the power data can give to fundraisers. We know connecting to people on a personal level and on an individual level is more successful than mass communication. We connect with people on an individual level, but in order to do that, we need data. We need to know more about the individual. There’s the knowledge that this is going to help you, as a fundraiser, connect with individual people and have a better chance of getting through. The second part of that is those who create and collect and distribute the data are biased by the fact that they’re data scientists — data-driven people. They understand the interest and impact and complexities of data. But a lot of times the audience doesn’t. They don’t geek out on it as much as you might. So we have to package data in a way that allows the audience to want to seek out your data. The presentation of that data can go a long way toward that. One of the lines I’ll use [in my keynote] is that your stories are way more powerful than your data. They just are. Using data points and appealing to the left brain doesn’t win the battle for time. We have to package our data in way that is memorable, interesting and cuts through the battle for time. It’s not just the fundraiser going to the consumer trying to win the battle for time; it’s also the data scientist going to the fundraiser trying to win the battle for time. AB: Absolutely. I come to the prospect development field from the relationship-building side of the industry, so I found your messages very refreshing. In an age when data and analytics are so central to our industry, how do you recommend that prospect development professionals make sure they are balancing their technical and analytical skills with people skills and relationship-building? RT: I think we have to continually help people understand that we have to commit to evolving as human beings. People get into a career and they tend to focus on the skill. If you’re an accountant, you’re focused on how to be the best accountant possible, if you’re an engineer, how to be the best engineer, and if you’re a data scientist, how to be the best data scientist. We have to continually remind people that these skills are just one piece of the pie. Just because you write it doesn’t mean they heard it, and just because you built it, it doesn’t mean they agree with it. Just because you have a perspective doesn’t mean other people understand it. The creation of ideas is one part, but we have to distribute those thoughts, convince others of them and collaborate to refine those thoughts. It’s all those other things that people don’t necessarily prioritize. We have to continually remind them of that. It helps to look at other industry examples and see what other people are doing to succeed, and then share stories internally when those behaviors have been impactful. AB: What are three takeaways you hope attendees get from your presentation? RT: I hope people walk away thinking the following. One: There is a reason I need to change what I am doing. Not just change for change’s sake. Two: I’m inspired to do it. The change is inspired rather than seen as a daunting task. Three: I’m informed on how to do it. There’s a reason, inspiration and information. Want to hear Ron speak in person? 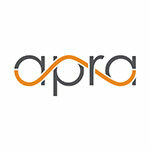 Register now for Apra's Prospect Development 2018 for the keynote session and so, so much more. Amelia Bowen has been the senior prospect development consultant for Industry and Special Programs at Michigan State University since January 2017. Amelia’s career in higher education advancement began in 2009 with her role as a development research specialist at the University of Illinois Foundation, where she partnered with development officers on both the Chicago and Urbana campuses to provide strategic prospect research for units including the College of Medicine, Fine and Applied Arts and the Regional Gift Officers. Amelia’s talent for partnering with development officers is informed by her training in library and information science, having completed her MS from University of Illinois in 2007. Gain tips for how to use project management tools to further relationship management projects.